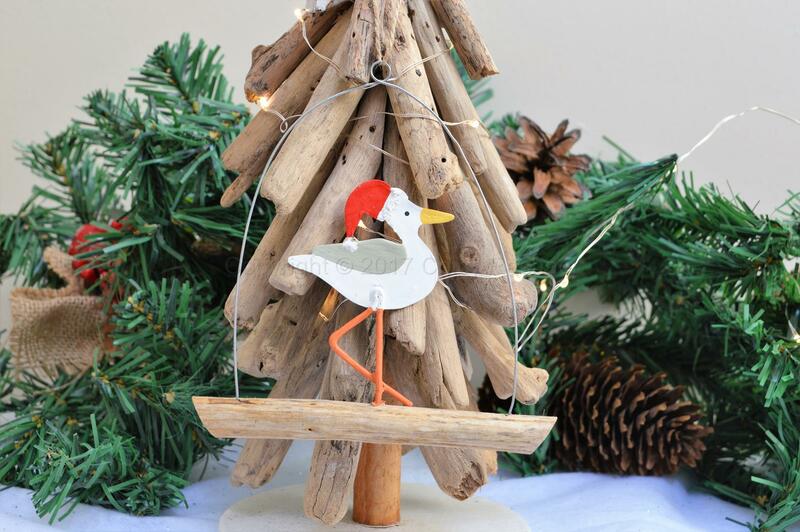 A cute painted metal seagull in a festive Santa hat stood on a piece of driftwood, with a jute string for hanging. 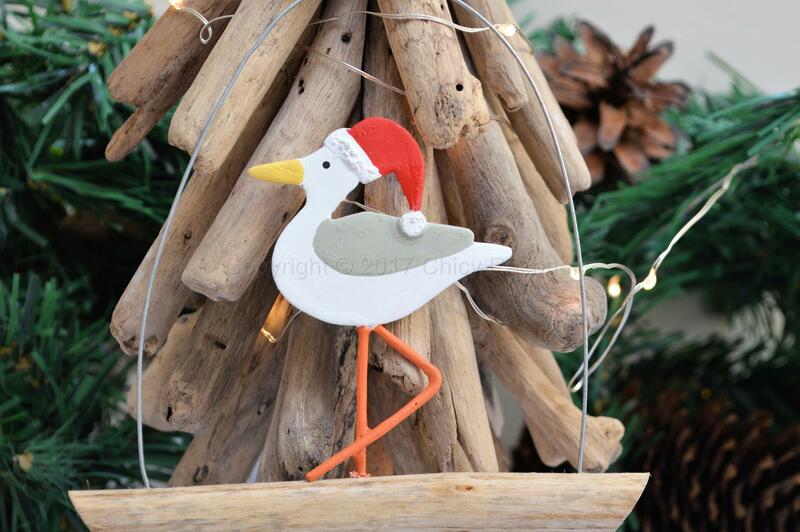 A lovely hanging decoration that would make a great addition to your festive decorations. 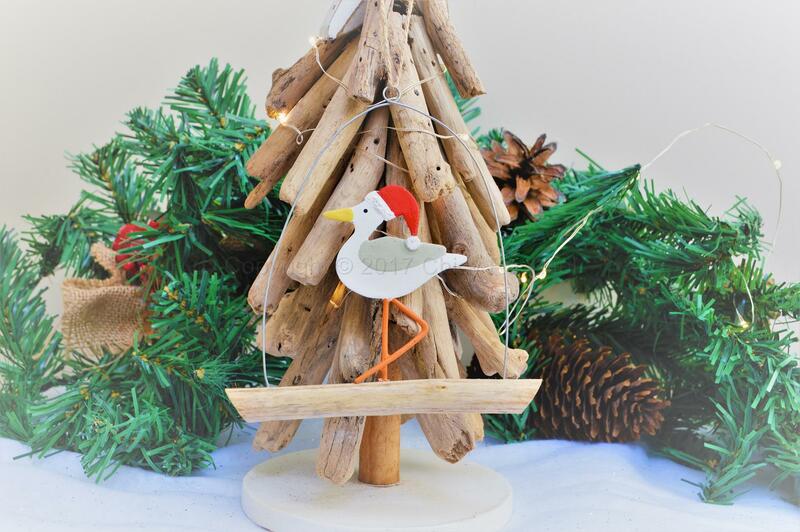 Add to your tree for a bit of nautical charm.